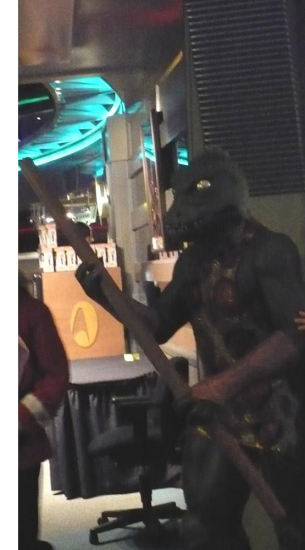 Annual Star Trek Creation Convention in Las Vegas! William Shatner and Chris Pine finally meet -- the 2 Kirks! JJ Abrams bought a couple of tables at Shatner's Celebrity Horse Show and the whole new cast was there. Trek gets another Newsweek cover! I used to love Star Trek. You know, Star Trek was ahead of its time. There was a whole—the special effects weren't real good, but the storylines were always evocative, you know, there was a little commentary and a little pop philosophy for a 10-year-old to absorb. A lot of U.N. stuff. Thanks to SA for the photos! 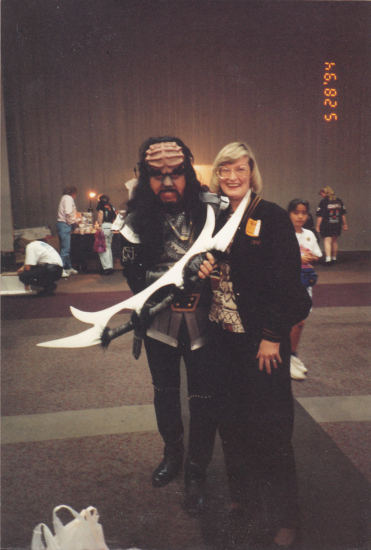 My mom at a Trek Con with Friend! I thought it looked beautiful and expensive on screen which was nice to see and that JJ's directing was surprisingly good. (It was really something on IMAX!) Some reviewers commented on the breakneck speed of action but it worked (and also helped hide some plot flaws). But please ditch the lens flares, thank you. I never really cared about the changes to the Bridge and ship -- bigger budget and 40+ years made it a given. However, I did think Engineering was silly -- a cross between a brewery and a water park and created solely for that ridiculous scene with Scotty. I liked the uniforms save the need to put the women in miniskirts. Back in the 60s, that was a sign of empowerment for women; today it's just for eye candy -- the lack of rank on their uniforms proves that point. I was surprised that I found the script and story so lacking. Contrivance built on coincidence built on random chance for important plot points made it all hard to swallow. What exactly was Nero doing for those 25 years? (And please don't tell me I need to read a comic book to know. That shouldn't be necessary.) Additionally, how did he know WHEN Spock was going to arrive anyway? And I found it beyond belief that he and especially his crew could sustain their grievances for so long. 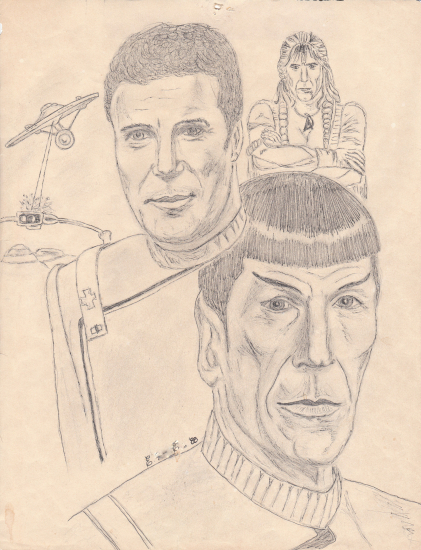 And then there's the Spock, Kirk and Scottie planet coincidence. Young Spock leaving Kirk stranded? How many regs did he break there? Why did Vulcan need to be destroyed anyway? That was very had to take and I'm not sure it was necessary. Amanda's death? Additionally, the humor was too broad in places for me. 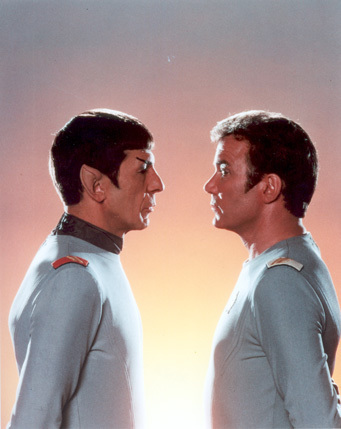 And why did it take Kirk to remind Pike about the phenomenon, especially given he'd written his thesis on it? By far my biggest problem however was the end of the film: from Cadet to Captain of a starship??? Absolutely implausible and it really was a let down. I don't care that he saved Earth and all, it's just beyond believability. Commands aren't prizes; they are the end result of decades of excellent service and accumulation of skills. 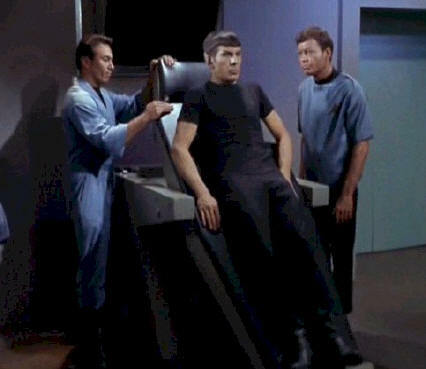 Throughout the movie, the Kirk of this altered Universe showed no indication he could follow an order or had the discipline that the job requires. So overall I can't pretend I wasn't disappointed in the film. It could have been so much better, even excellent, with just a little more logic and tweeking. 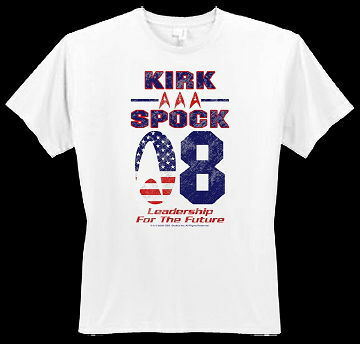 (Pushing Kirk's promotion to Captain back a few years at the end, for example.) Oh, I'm glad it's made money and did well cause I always want fandom to continue. It just seemed to me to be a pretty confection suited to our attention-deficit culture of today rather than the deeper Trek I've loved for so long. (Just my honest opinion.) And given its cost as compared to what it's earned....was it worth it? I honestly can't see this version enduring as the Original did. In the Star Trek universe, dead isn't dead. A spokesman for Vegas entertainment website AmericanLowLife.com is reporting a potential "meeting of the Experiences," with the Star Trek version moving downtown to a new home along the Fremont Street Experience . Rumors have the Trek museum, shops and rides moving into the Neonopolis , a retail and entertainment center on Fremont Street's eastern end. Requests for confirmation from Neonopolis representatives have gone unheeded so far, but hailing frequencies remain open. I also had the pleasure of attending 2 World Science Fictions Conventions as well as numerous multi-media cons across the country. I used to attend Comic-Con in San Diego more regularly but it's just gotten so huge I can't cope. I attended the Grand Slam back in the Pasadena days and regularly go to the Las Vegas Creation Con each year. I've been to cons in NYC, Florida, Huntsville Alabama (fabulous Anniversary con! ), San Diego, all parts of Southern California, San Francisco, Texas, Chicago and I can't remember where else.